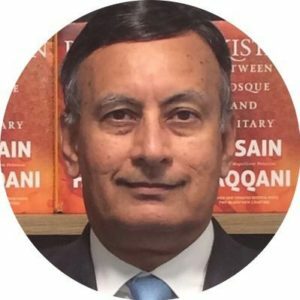 I was recently asked by AnAn to write a detailed post about Mr. Hussain Haqqani (henceforth HH) and his three books that I’ve read. I find it difficult to write about someone who is still active in his field of work and someone who arouses so much anger and partisanship among the commentariat in Pakistan. I decided to write about things that I know definitively, publicly available information about him and testimonies from two reliable witnesses about HH and then briefly discuss the three books (Pakistan: Between Mosque and Military, Magnificient Delusions and India vs Pakistan: Why Can’t we just be friends) that I’ve read (I just started reading his fourth one, ‘Reimagining Pakistan’). It is hard to label HH as a turncoat or opportunist because most major politicians in Pakistan changed course in their political life starting with Zulfiqar Bhutto, followed by Mian Nawaz Sharif, Benazir Bhutto(BB) and Imran Khan. People and their ideas evolve or else, they are ossified and become part of history while they are alive (Exhibit A: Most of the left-wing politicians of Pakistan). HH comes from a Muhajir family based in Karachi and went to Karachi University where he was an active member of Islami-Jamiat-Tulaba (IJT), the student-wing of right-wing, religio-political party, Jamaat-e-Islami (JI). He claimed in Magnificient Delusions that he stopped students from burning down the American Consulate in Karachi in 1979 when Grand Mosque in Mecca was seized by ultra-Wahabi rebels and the conspiracy theorists put the blame on the US initially (the Embassy in Islamabad was burnt down by a mob of students). His claim has been debunked by several members of IJT at the time. He worked as a journalist for a few years after graduation. In the late 1980s, he was a media-consultant for Nawaz Sharif, the center-right politician from Punjab who rose to prominence as Punjab’s finance minister under General Jilani’s governorship (1980-85) and later served as the Chief Minister of Punjab (1985-90). Nawaz Sharif was part of an Islamist alliance, Islami Jamhoori Ittihad (IJI) which opposed Benazir Bhutto’s Pakistan Peoples Party (PPP) in the 1988 elections. It is beyond doubt that the character of Benazir Bhutto and Nusrat Bhutto was mercilessly attacked during the election campaign. Helicopters were used to throw fliers over major cities in Punjab with explicit photos of the Bhutto ladies to malign their reputations. According to witness number 1, he saw HH in New York during that campaign where HH was offering nudes of Benazir Bhutto to anyone who was interested to see them. IJI still couldn’t win the federal election and ended up winning in Punjab, where Nawaz Sharif assumed the Chief Minister-ship. 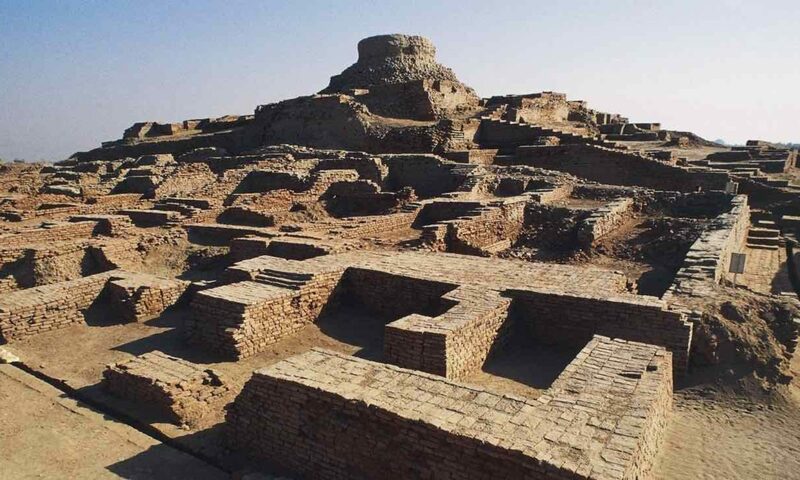 Due to Palace intrigues and constant bickering between Punjab and the Federal Government and unrest in Sindh, BB’s government was dismissed by Ghulam Ishaq Khan, the President, after twenty months. In the ensuing elections, IJI succeeded in winning the election (there was massive rigging taken place on orders of the Presidency and funds were distributed to various IJI politicians, details of which can be found by googling ‘Mehran Bank Scandal’). HH served as Sharif’s spokesman till 1992 until he was sent to Sri Lanka as Pakistan’s ambassador. In 1993, the Sharif Government was dismissed by President Khan (with prodding and backroom deals by BB and Co). HH flew back from Sri Lanka and became a spokesman for the BB government that followed (1993-1996). In 1996, the second BB government was dismissed by President Laghari and Nawaz Sharif’s party started ruling again. It was toppled during October 1999 and General Musharraf became the ‘Chief Executive’ of Pakistan. According to witness number 2, he saw HH begging Musharraf (or one of his generals) for the Information Ministry. The request was denied and HH spent a few years running a consultancy. In 2002, he arrived in Washington DC, as a guest of Carnegie Endowment for International Peace. In 2004, he joined Boston University as an Associate Professor of International Relations. He also headed a project by Hudson Institute on Islam and Democracy. Post-9/11 was a time in which the issue of Islam and Democracy was selling quite well in the ‘West’. 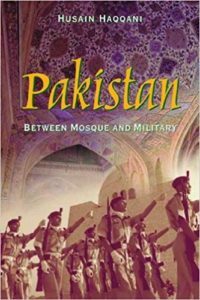 In January 2005, ‘Pakistan: Between Mosque and Military’ was published. It is a very good book detailing the history of Pakistan and the Mullah-Military Nexus that rules Pakistan today. The book was written with the help of Carnegie Endowment and the audience in mind was definitely American (with emphasis on post 9/11 understanding of Pakistan). It touches on all the relevant bases (quoting Ayesha Jalal, Khalid bin Sayeed, Margret Bourke-White, Stephen Cohen, Lawrence Ziring), the way Islam was used by Muslim League (and in certain instances, Jinnah himself) during the ‘Pakistan Movement’, the paranoia induced by newspapers and politicians about threats to Pakistan’s existence, the trifecta of Pakistan Ideology (Islam, Urdu, hostility towards India), suppression of dissent by ethnic groups using the tools of the Ideology (branding anti-state elements as anti-Islam is favored strategy even today), the way history was shaped from an anti-British perspective to an anti-Hindu perspective (since we got Independence from the British, not the Hindus), the first Kashmir War, the first Martial Law, attempts at a revisionist historiography, the disaster that was the 1965 war with India and so on. The book reveals very little new information (if you have read the liberal-secular version of Pakistan’s history) but is a very good collection of various liberal-secular and diplomatic sources and serves as a good primer on Pakistan’s political history. I’ve always maintained that HH’s writing is often much better than his politics or his past. It is often said that Pakistan’s political landscape is dominated by 3 A’s (Allah, Army, and America). 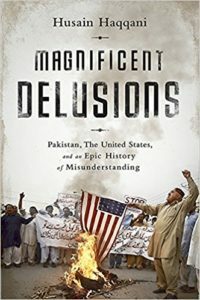 The discussion on US-Pakistan relations in the first book forms the basis of his second book, Magnificent Delusions. Four years ago, I wrote a couple of articles, titled ‘Good Ally, Bad Enemy?’ reviewing US-Pakistan relations with excerpts from HH’s second book alongside the works of Carlotta Gall, Gary Bass and Daniel Markey (1. here 2. here). I’ll mention some quotes from HH’s book that I used in those articles. In his third book, HH focussed on certain aspects of the thorny India-Pakistan relationship: History, Kashmir, Nuclear Bombs, and Terrorism. The book is peppered with anecdotes and is a useful read as a primer on the relationship and the difficulties therin. 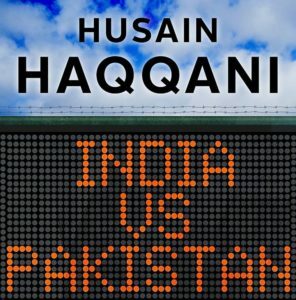 One gets the impression after reading the book that if it were left to the civilians, the two countries would have patched out most conflicts, however, Pakistan’s military and India’s diplomatic bureacracy took maximalist positions to thwart that ambition time and time again. Why is HH so controversial in Pakistan now? He was appointed Pakistan’s Ambassador to the US by the PPP-led government (2008-13). It was a turbulent time for Pakistan because barbarians were literally at the gates (Taliban in Swat and Al-Qaeda+TTP in Waziristan). HH has certain views about Pakistan that are not palatable for the military establishment/Deep State. Those views include his insistence on civilian supremacy in the country, deceptive attitudes towards the United States and over-reliance on religion in political discourse. In addition, HH was trying to be a conduit between Pakistan’s civilian government and the United States during his time as the Ambassador (as opposed to a majority of Pakistani Ambassadors to the US who are appointed only after a firm nod from the GHQ) and that irked the establishment even further. It was during his tenure that Osama bin Laden was found and killed in Abbotabad (May, 2011). HH, in an op-ed published last year in Washington Post (read here), took credit for helping the Obama administration in that endeavor (which, in light of Trump’s recent ascension to power, seemed an opportunistic move). Soon after the raid, a conspiracy theory was hatched by the Military Establishment in Pakistan implicating HH. It was alleged that HH had sent Admiral Mike Mullen a memo (on President Asif Zardari’s advice) through a shady in-between named Mansoor Ijaz asking for help from the US in case our generals tried to topple the government in the wake of the OBL raid. The case dragged on in the court and later, a judicial commission but the charge was not proven. HH had to resign as the Ambassador. He has since been at Hudson Institute. In recent years, he has started, with the help of another Pakistani-American, Dr. Mohammad Taqi, SAATH forum (South Asians Against Terrorism and Hatred) that gathers progressive voices in London every October to talk about the future of Pakistan. (Full disclosure: I have been invited to the last two versions of this forum but the first one i couldn’t attend because of visa refusal and the second because I was doing an internship in Houston at the time). I personally agree with most of his views regarding Pakistan but I think his name has been tarnished so much by the Deep State that it is hard to advocate for his name/ideas/books in Pakistan. I believe that he is worth-reading and worth-engaging. If only the military establishment could fight ideas with ideas instead of slander and mis-information. Thank you for this post. HH is a friend to all those wish peaceful and co-dependent integration of the sub-continent, which is currently the region with the least percentage of intra vs inter-regional trade. 1. HH has advocated accepting the LOC as a temporary soft-border in Kashmir, increasing trade and leaving the question of eventual settlement for another generation. However, my sense is that the current GOI will demand a Pakistani acceptance of the finality of such an LOC border (even if it is soft like the Irish border) rather than deferral of final status to the next generation. My point here is that when it comes to implementation, one might find that it is not only GHQ Rawalpindi, but also GOI which will stand in the way of such an open-ended solution, both for different reasons. I actually think such a temporary solution is long-term advantage for Pakistan vis-a-vis India, and HH realizes this better than PakMil. Much as I like HH’s role here, I was under the impression that he did write the memo in question that you refer to as a conspiracy theory. Do you have any further references on the veracity of this memo? I remember HH in the 90’s when he “turn-coated”, I think it was to the PPP or PML? As the article mentions, HH has been with everyone from Jamaat-e-Islami to PML-N and then PPP. I had no idea that he was responsible for distributing explicit pictures of Benazir and her mother (quite disgusting). I don’t know why Benazir would let someone like that work for her. Then he served as Zardari’s Ambassador to Washington. While there, he apparently wrote a memo which was against the Pakistan Army (asking the Americans to help Zardari or something). This is not what Ambassadors (of any country) are hired to do. This is called “Memogate” and that is why he is facing charges in Pakistan. Now of course he is associated with a neo-conservative think tank in DC and seems to be working in the US’s interests (or his own interests) against Pakistan. He is in the news again because Pakistan’s Supreme Court recently asked the government to bring him home to face trial. HH seems to be many Indians’ favorite Pakistani because he advocates against what Pakistanis see as Pakistani interests. Just as Pakistanis love and adore Arundhati Roy because she says India needs to vacate Kashmir. If she said Pakistan needs to vacate Balochistan, we would be out for her blood. This was quite a summary, thanks. Arundhati Roy is a post modernist who has consistently supported violent attacks against the fully sovereign fully legitimate elected Indian government (national, state and local), Indian police, Indian Army. She has also consistently supported violent attacks against the fully sovereign fully legitimate elected Libyan, Iraqi and Afghan governments (national, state and local), their police and their army. She has supported violent attacks against the Palestinian Authority and Palestinian National Security Forces (NSF). She supports marxist and socialist economic policies that would cause mass global starvation and dehydration . . . and devastate the global poor. She believes in turning people against each other and exults in global civil war and conflict. She has a deep contempt for all religions . . . but eastern philosophy most of all. She opposes freedom of art, thought, intuition and heart (using very deceptive Orwellian words such as “hate speech”). Yes she criticizes Islamism and correctly says that she would be the first person strung up by the Islamists should they ever win. But that in no way justifies the rest of her psychopathic irrational perfidy. Much more importantly she like many other nonmuslims refuses to help muslims who are attacked by Islamist Jihadis. If there was one poster child for everything wrong with Modernism, Marxism, Structuralism, Post Modernism and Subaltern studies . . . it would be Arundhati Roy. Anan, do you feel that post modernism and structuralism are completely novel conceptual frameworks, a sui generis intellectual virus, or are they the most recent manifestations of existing thought traditions or at least impulses? girmit, can you consider writing articles for BP. You are incredibly perceptive and intelligent. “do you feel that post modernism and structuralism are completely novel conceptual frameworks, a sui generis intellectual virus?” Not completely. Rather they are a misunderstanding and misapplication of eastern philosophy. A long article on post modernism is planned later. All these systems are about transcending all meta narratives and universalist norms. The pathless journey. And they offer many ways to prepare for the journey. But the journey itself is pathless and requires an exponential nonlinear leap in possibilities. Among some steps that might be considered is to understand oneself completely. Including all the different layers or possibilities of awareness or witnessing in the nervous system and brain (including conscious, subconscious and unconscious brain). My interpretation of Islam is that Mohammed pbuh experienced seven layers of awareness of his brain and nervous system. Only after understanding this and understanding science and understanding every aspect of our own nature and subconcious can we begin to consciously use our 22 to 33 sensory inputs (as per neuroscience), sharply increase our subtle perceptive intuition/intelligence; disentangle, understand and transcend all meta-narratives and universalist norms. Truly become post modern . . . which is the meaning of freedom or salvation or self actualization or whatever phrase we choose to use. Some European academics (Marx, Ferdinand de Saussure, Freud and others) came across these ideas in their study of the east; and misunderstood it and misapplied it. In practice they negated all meta-narratives and universalist norms and replaced them all with their own dysfunctional and irrational mega-narrative and universalist norms. In the process they have subconsciously colonized the minds of most humans and caused enormous damage to every country in the world. They have done this by reducing self confidence, creating inferiority complexes, turning people against each other, creating conspiracy theories. Note that many of the greatest saints and sages in the east might be called atheist from a certain point of view. Eastern philosophy requires no belief on the basis of faith or the supernatural. Eastern philosophy encourages science, inquiry and questioning. The concept of offensive questioning does not exist. This is one reason I find Slapstik and Razib so refreshing. May God bless atheists who fearlessly seek the truth wherever it leads them! Nice to see you back Anan! We obviously disagree on Arundhati Roy. I am a big fan of “God of Small Things” though the latest novel is not so good. I don’t agree with all her politics either. But when she says “India needs freedom from Kashmir and Kashmir needs freedom from India”, I am with her. She has also taken a strong stand against communalism, which I admire. Her life has been threatened, yet she continues to speak and write. Also, I will not be regular here as much. I am going to focus on my personal blog. See you around. Why don’t u lolink to ur book review. To end this, left extremists are bigger and control more territory than islamists or anyone. maoists, they were the single biggest internal threat to India as PM Manmohan Singh said so, this during the time she went on excursion trip into maoist camps, called them gandhians with guns. Even condoned them killing people they consider as “informers” in kangaroo courts. HH is far better. He isnt visiting some terrorist camps out to kill all those they disagree with and take over pakistan or giving them intellectual defense. Hate is incompetent , but to hate those whom you know if given power would unleash violence on u isnt totally foolish. People get killed in India by left parties and left extremists.Some thing you dont experience in either USA or pakistan. There are accusations of left chief ministers advocating killing opponents as a policy and burying the bodies. The biggest political violence happens in left ruled states. To give perspective, Over 50,000 died in West Bengal due to violence unleashed by left on opposition. Unlike kashmir where there was army, terrorists supported by army of other country, this was entirely internal political violence. It goes to show that if u have sympathetic press, academia, even if u unleash violence and terror and force mothers to eat rice mixed in with blood of her sons, you can get away without being held to account. We would happily take someone like HH over roy any day. They arent even in same league. He comes across as being mostly reasonable. And seems mostly to want pakistan to move away from military control to democracy. For roy, democracy is just convenient tool for overthrowing what is and bringing in the new left empire. You can be assured that if left comes to power, it will seek the monopoly of violence over all others. Academics, press,activists will simply look away. They wont make noise. People like HH because he advocates peace with India, democracy , end to terrorist camps, leaving the kashmir problem into the future. For Roy, peace isnt enough, it has to be on terms of left. It is because of her sympathy with maoist violence that media including ndtv whose chief is cousin of roy no longer give her a platform. We obviously disagree on Ms. Roy and the “left” in general, though I am not a Maoist or even a socialist. I voted Bernie Sanders in the USA (that is probably the closest approximation of my political positions I can give you). I disagree with you about how indigenous the Kashmiri freedom movement is, but that is not the topic of this article so let’s leave it at that. My problem with HH is not that he wants “peace with India”. I want peace with India. But not on India’s terms. Also HH (to me) seems to be all about himself and his own interests–not Pakistan’s. That’s fine, but not when you are serving as Pakistan’s Ambassador. It is then your job to represent the people you work for. One of the reasons I admire and respect HH is because of his family connection to Nizami masters and Nizamuddin Dargah. 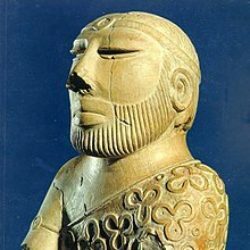 Suspect this is one of the reasons HH understands and connects so well to trans eastern culture and civilization. I think HH would be an amazing PM of India should he have that role. HH is a critic of current misinterpretations of post modernism and socialism . . . and a big supporter of globalization, free markets, civil society and efficient governance. AbdulMajeed Abid, hope to respond to your article with the nuance and respect it deserves soon. Very well written. Maybe consider hyperlinking your body of articles together for the convenience of readers. I first became a fan of HH in the 1999-2001 period; when he was one of the few non virtue signaling authentic Pakistani voices. In particular I remember HH after 9/11 warmly trying to engage with a Northern Alliance representative; and not be defensive when the Northern Alliance representative was blasting Pakistan for the Taliban. HH also openly called for neoliberal economic reforms and globalizati0n–including with respect to Pakistan’s regional “enemies”. Naturally all of this was music to my ears. AbdulMajeed Abid, you have so many nuanced thoughtful articles it is tough to decide which one to comment on.